"Border adjustability is nothing more than a tax on American consumers. We are against this approach because in the end, it is making life more expensive for all Americans, especially low-and middle-income families. Instead of picking winners and losers, Congress should pursue a simple, pro-growth approach that lowers rates, eliminates loopholes, simplifies the tax code, and above all, protects consumers from new tax increases." Why this matters: The border adjustment plan — which would cut taxes on exports but raise them substantially on imports — is central to Paul Ryan's ambitious plans for tax reform. Republicans believe it could raise more than $1 trillion in revenue, helping to pay for Trump's expensive promises like the wall and his massive infrastructure stimulus. What you need to know about the opposition: This fight could become very expensive and politically brutal. Koch allies will likely include companies in the energy industry — which includes Koch Industries — that will be whacked with new taxes on imported crude. 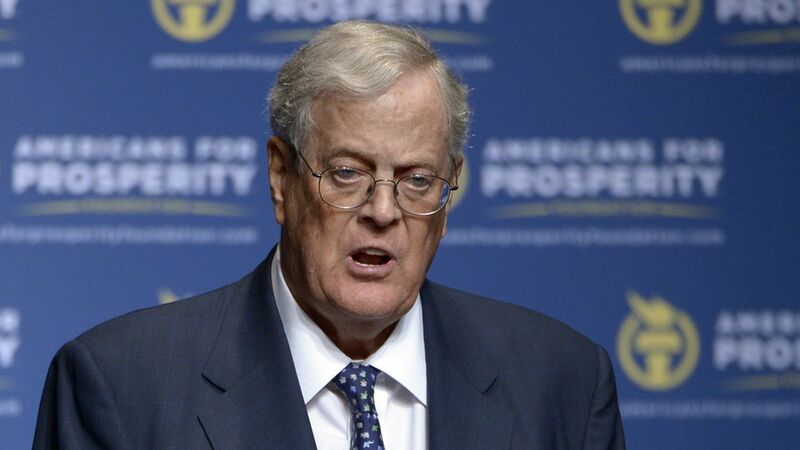 Big box retailers like Walmart, whose cheap prices depend on imported goods, are also allied with the Kochs. On the other side: An industry group — including GE, Caterpillar and Honeywell, per a source in the room — gathered Thursday AM at GE's offices in Washington D.C. to plan their campaign in favor of the border adjustment tax. This group's (so far unnamed) messaging strategy will draft off of Trump's message of "America First." The irony is not lost on us: GOP leaders would never have described themselves as nationalists before Trump (and most still wouldn't use that descriptor.) But they're opportunistically borrowing the language of populist nationalism to push a tax policy through. Congress watch: Our conversations at the Philadelphia retreat this week suggest there is far more support than opposition. Kevin Brady — the man in charge of the tax-writing committee in the House — is pitching it as ending the tax on "Made in America." Paul Ryan is hitting the same notes. A source in his meetings with top administration officials says Ryan is privately calling border adjustment "responsible nationalism." Trump watch: That's music to the ears of Trump's nationalist chief strategist Steve Bannon, who is on board with the plan and is telling associates the tax reform plan is a "strong American nationalist program." If Bannon vouches for its nationalist credentials, then we'd be surprised if Trump doesn't ultimately endorse it.